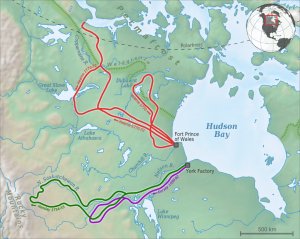 Figure 8.7 More than a half century would pass between Henry Kelsey’s exploration of the South Saskatchewan River in 1690-92 and Alexander Henday’s 1754-55 voyage across the northern plains. Samuel Hearne’s two 1770-72 journeys took him north of the treeline and into the Coppermine River basin. Although the French were blocked from directly reclaiming territory on Hudson Bay, there was nothing to stop them from extending a string of trading posts in the Ungava Peninsula and the West. This strategy allowed them to block the supply of furs heading downriver to the bay. This chapter opens in 1727 with the western expeditions of Pierre Gaultier de Varennes, Sieur de La Vérendrye. His mission represents, in part, a resumption of French efforts to find a northwest passage to the Pacific. His contacts around Lake Superior included Tacchigis, Ochagach, and Mateblanche, three Cree informants who provided La Vérendrye with intelligence and maps of the lake and river systems across the West. Complications arose when the Cree-French party encountered the Dakota Sioux at Lake of the Woods. There was long-standing enmity between the Dakota and the Cree, but also a recent alliance between the Dakota and the French in the Pays d’en Haut. 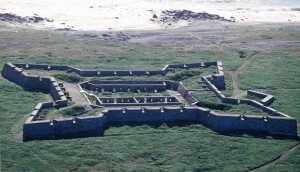 The Dakota responded to this new French-Cree configuration as a betrayal on the part of the Europeans and slaughtered 19 in La Vérendrye’s group, including one of his sons. Figure 8.8 Ogagach’s ca.1730 map of the chain of rivers and lakes between Lake of the Woods and Lake Superior has been likened to a subway station map in that it compresses distances and focuses on destinations. 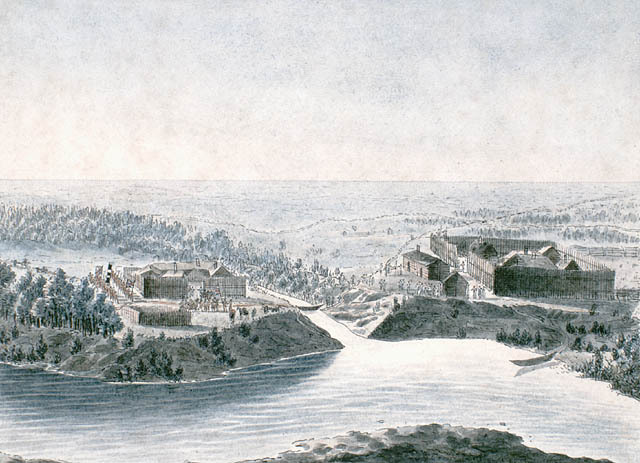 These French incursions and uncertain relations with some of their own Aboriginal trading partners obliged the British to launch ambitious building projects on Hudson Bay. 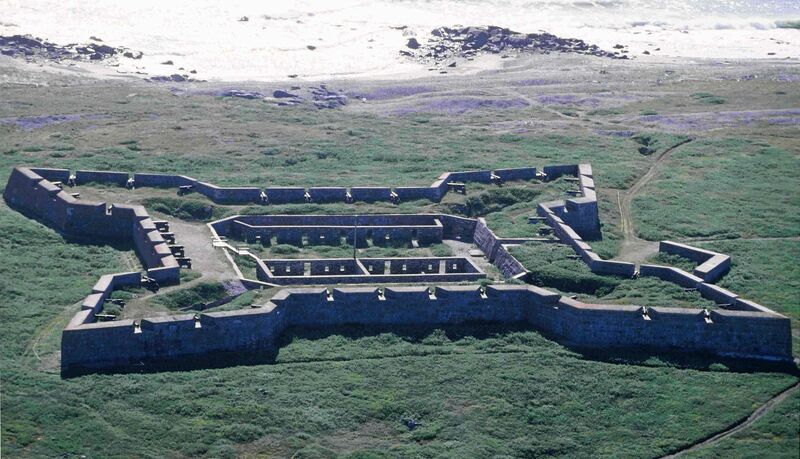 The most outstanding of these, though never completed, is Prince of Wales Fort at the mouth of the Churchill River. Begun in 1731, it was taken by the French in 1782 (during the American Revolution) without a shot being fired. The structure was partially demolished by the French before they handed it back to the British a year later. This was a minor setback for the HBC and the French were, in any event, out of the picture after the War of Independence (1775-83). But it was part of a larger emerging competitive era, one which had its centre along the St. Lawrence. After the Conquest the main players in the fur trade out of Montreal were British-American merchants. Their trading houses absorbed elements of the old French operations, and the largest and most successful of the new conglomerate enterprises to emerge was the North West Company (NWC). Its leaders were mainly Scots who (like its founder, Simon McTavish) arrived in Canada after the Treaty of Paris (1763) and before the arrival of the Loyalists (1783). They had deftly avoided taking the American side in the War of Independence but that didn’t make them warm friends of the English regime. Nor did their Presbyterian creed stop them from marrying French-Canadian Catholic women. Between the Conquest and the end of the American Revolution they worked in competition with one another in the near-west and the Pays d’en Haut. The outcome of the Revolution and the Treaty of Paris (1783) encouraged them to band together; they were further obliged to develop new strategies for an area north of the 49th parallel after Jay’s Treaty (1794) reduced their ability to work in what was now the American northwest. Hard-headed businessmen with strong connections in New York, the Nor’Westers were a fluid and sometimes fractious set of partnerships that did their level best to subvert the HBC and evade the monopoly held in Asia by the British East India Company. There may have been discontinuities in entrepreneurial leadership in Montreal, but the fieldwork remained structured much as before. The main corridor of trade was along the Canadian Shield via the site of Wendake (Huronia), into the northern Great Lakes, on to Michilimackinac, and then to the NWC’s main posts at, first, Grand Portage then at Fort William (now part of the city of Thunder Bay). Canadiens continued to play an important role in the actual trading and transshipment process, as did Iroquois, and Métis trip men and voyageurs. (Looking at a typical personnel list from any western expedition, it is difficult to imagine that it would be conducted in any language other than French.) The NWC pressed far into the interior of North America, seeking out furs. This expansionism was a direct challenge to their chief competitors, the HBC, which was just breaking out of its shoreline redoubts and heading upriver. Another feature that distinguished the NWC is that it operated on a profit-sharing basis. A trader in the company could easily amass a good deal of wealth and had the motivation to do so. The wintering partners — the prominent NWC employees who spent the year in the West — were also part of the decision-making processes of the company. Sometimes also called hivernants, they would meet annually with the Montreal agents at Fort William where company-wide plans would be made in council. The family connections within the NWC — with McTavish at its centre — contributed a patriarchal structure to the decision making. The consultative approach and shareholder system of the NWC was a stark contrast to the hierarchical business model of the HBC. Headquartered in London, the HBC was led by individuals with no direct experience of the fur trade who have been described, consequently, as “cautious, even timid.” Its employees were called “servants,” a title that reflects the deferential and status-conscious relationship they had with their “officers.” Indeed, many of the “servants” were working off seven-year indentures and could look forward at the end to a good letter of reference and a suit of clothes. “But,” as one scholar of the HBC says, “if the Hudson’s Bay Company was at times sluggish, it was never inert. Rigor mortis was not setting in. When it embarked in new directions the Company moved forward relentlessly, and all its advantages of organization and experience made it a formidable competitor.” And when the HBC seemed most on the ropes — as it did in the first two decades of the 19th century — it bounced back. By the mid-18th century, French traders were making headway into the West. The post-Conquest fur trade saw the rise of British and British-American merchants in Montreal. The two principal fur trade companies were organized very differently and each had specific strengths and weaknesses. 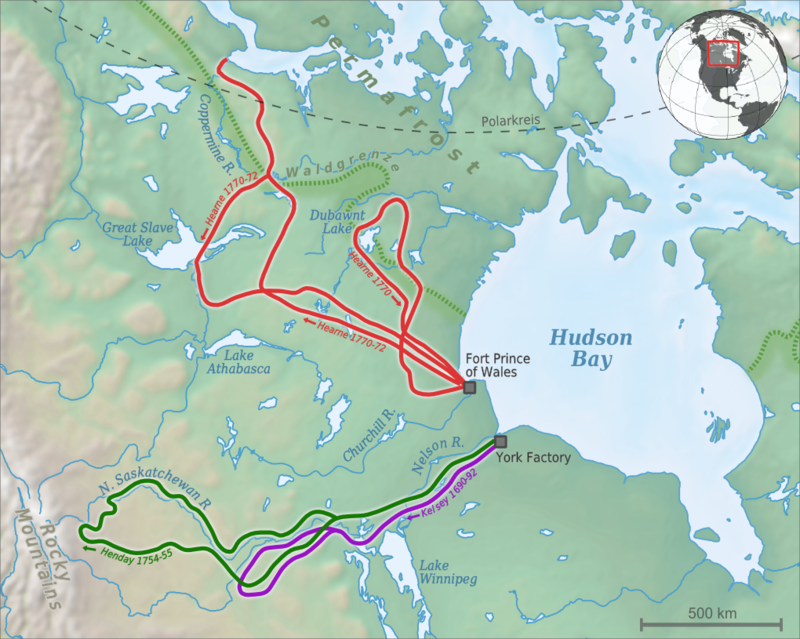 Hudson Bay Exploration Western Interior map de by Alexrk2 is used under a CC-BY-SA 3.0 license. La Vérendrye Map by BlueCanoe is in the public domain. Churchill Fort Prince of Wales 1996-08-12 by Ansgar Walk is used under a CC-BY-SA 2.5 license. View of the two Company Forts on the level prairie at Pembina on the Red River by LibraryArchives is used under a CC-BY 2.0 license. 8.5 The Montrealers versus the HBC by John Douglas Belshaw is licensed under a Creative Commons Attribution 4.0 International License, except where otherwise noted.